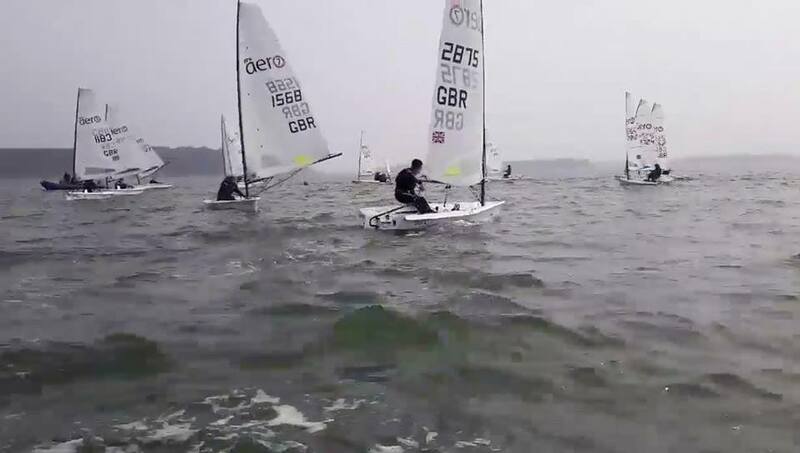 The final of this winter’s series of six Rooster RS Aero UK Youth Team training weekends took place at Poole YC at the top of Poole Harbour over the weekend of 6/7th April. Nearly thirty young RS Aero sailors enjoyed medium breezes and some warm sunshine after the morning mists had cleared. As the final weekend before the winter programme gives way to the summer racing circuits the focuses of the weekend were event preparation, information gathering and then the ability to put it all together during racing. Our four coaches managed the varied sessions with the RYA attending to see how the females where getting on within in the Team and in the RS Aero with consideration on how to further promote, inspire and retain females in the single hander classes. “We started with some short sharp races and chatted to the coaches in between, which was really useful for picking up specific things we needed to work on. After lunch we split into groups to work on either starting, boat handling, speed or tactics, depending on the area we thought needed the most work. I chose starting because I know that I need to build my confidence in holding my position on the line when it's busy. We continued to work on that on Sunday morning, before joining together for some short, sharp races in the afternoon. During the racing in the afternoon we had staggered start lines, so those sailing faster had to sail further. This made for a challenging pursuit with more interesting mark roundings and gave everyone a chance to work hard and finding clear air to get back to the front of the fleet. 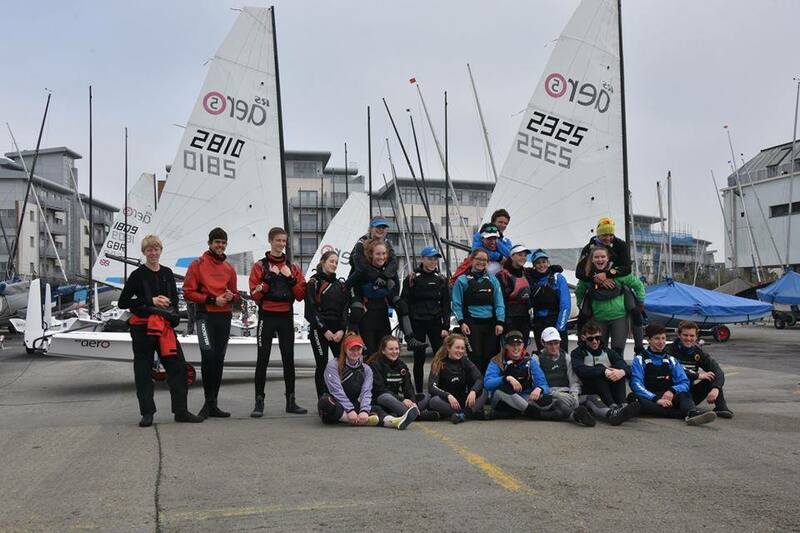 "The weather at Poole over the weekend gave us ideal conditions for the final RS Aero Youth Training of the season. 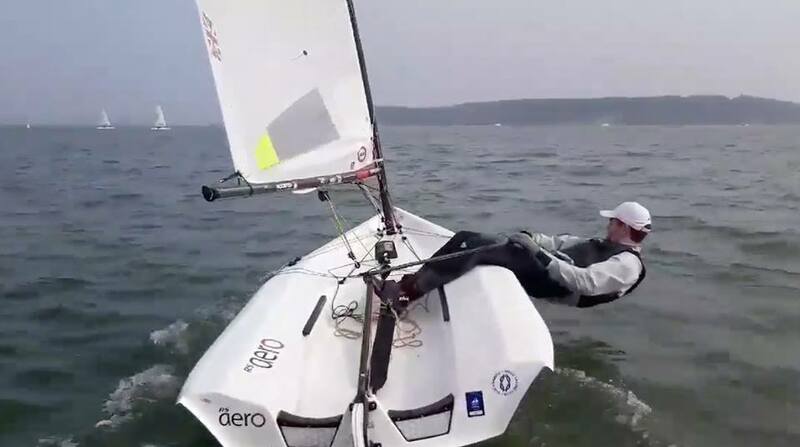 A steady breeze and the tidal nature of the venue allowed coaches to cover a wide variety of topics from boat speed to starting, along with several races as well. I decided I would focus on my starting over the weekend, as it gave me the opportunity to improve my trigger pulls off the line as well as practicing starts in tide, which were two areas that I had been struggling with. Thanks to Liam, who was the coach focusing on starting, my starts overall improved drastically over the weekend and I can now put this into practice when racing this summer. Overall, it was a very successful weekend that allowed everyone to put together the different techniques and skills they had learnt over the winter into practice, especially during the practice races on Sunday afternoon. The change in the squad since my first RS Aero Youth Training session back in 2015 is truly incredible and I am sure the training will continue to improve in the years to come." Thanks to Poole YC for being excellent hosts our first to at this venue. The expanse of the harbour was perfect for us. Applications for next winter’s Youth Team training will open shortly. Thanks to Rooster for their continued support of that RS Aero programme. The first main event of the RS Aero 2019 summer season is the RS Aero UK Spring Champs at Island Barn RSC coming up on Saturday 27th April. Keep in touch with Everything Aero via the Class Website, RS Aero Class Facebook Group and RS Aero Instagram.